KITZBÜHEL, AUSTRIA —The view from Kitzbühel’s summit is classic cinemascope, a 360-degree spin of the surrounding Alps complete with snow-capped mountaintops and a miniaturized village below. You might not know it from this majestic spot, but a peak some 50 miles across the horizon is actually taller—the infamous Grossglockner, its 12,461-foot elevation dwarfing the neighboring ridges and making it the highest point in Austria. 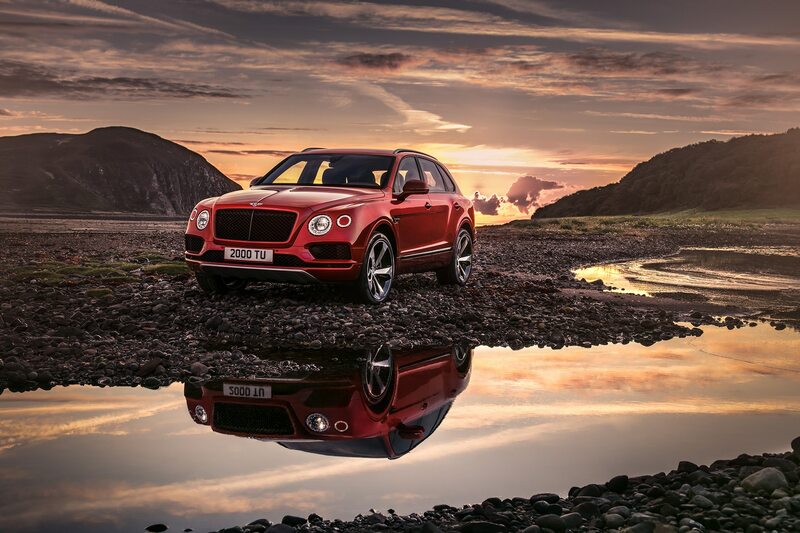 For a similar perspective, saddle up in the $165,000 2019 Bentley Bentayga V8 and peer across at the W12 model, whose towering $232,000 starting price triggered sticker shock and awe when it debuted in 2015. The big B’s top dog was the first sport ‘ute to claim that rarified air, an already big ask that easily crept towards the $300,000 mark. 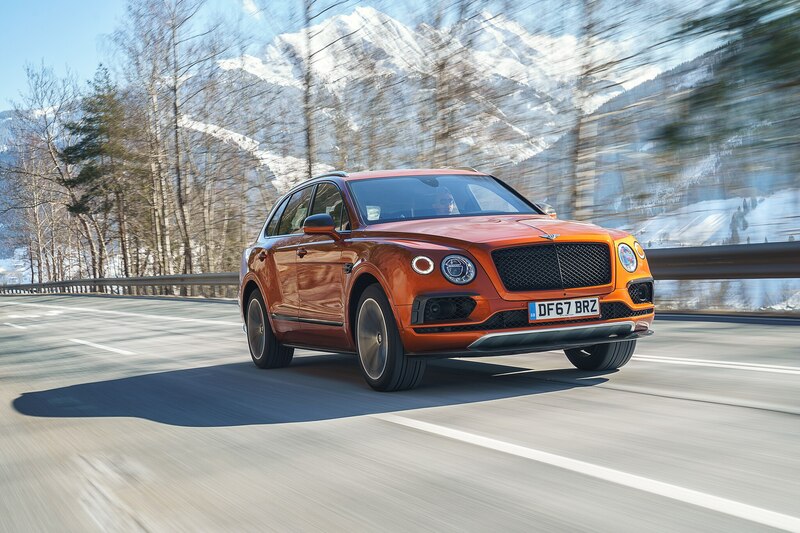 Further confounding the issue was the paradoxical allure of twelve-cylinder motivation and not-so-motivating looks, making inbound competitors like the Rolls-Royce Cullinan and the Aston Martin DBX seem all the more threatening. 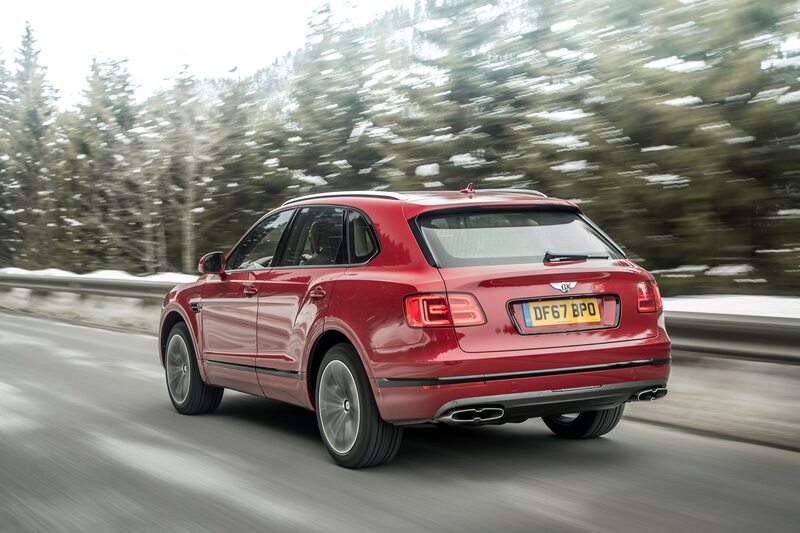 Power-wise, not much has been sacrificed in the making of this new entry-level (if you can call it that) Bentayga V8. The Porsche-sourced 4.0-liter V-8 packs two twin-scroll turbos within the “V,” producing 542 horsepower, a less than 10 percent slip from the W-12’s 600-hp output. Torque is a still-healthy 568 lb-ft, though the loss of twist is objectively greater, to the tune of 96 lb-ft. Unlike the W-12, the torque plateau of which starts at a barely-off-idle 1,350 rpm, the V-8’s begins at 1,960 rpm. 60 mph is achieved in 4.4 seconds (0.4 clicks behind the 12-banger), and top speed dips by an inconsequential 7 mph, to 180 mph. 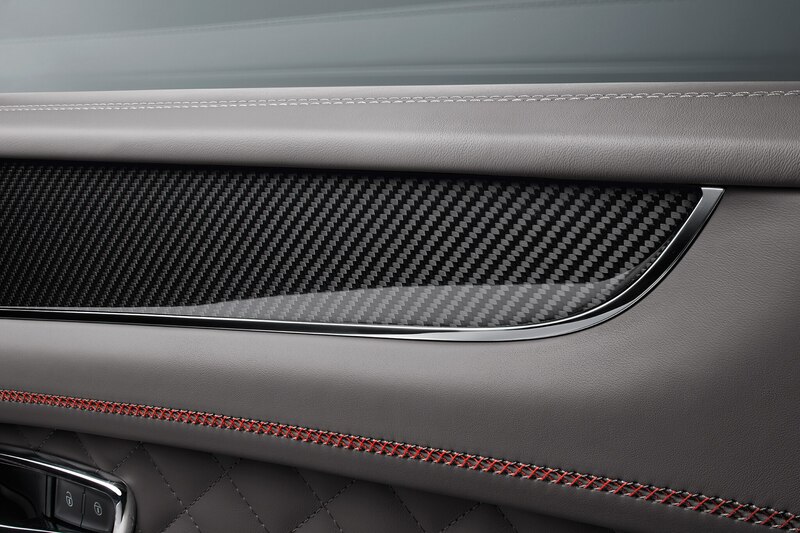 Visual differences are almost imperceptible and include a darker, revised grille, and so-called dual quad exhaust tips. 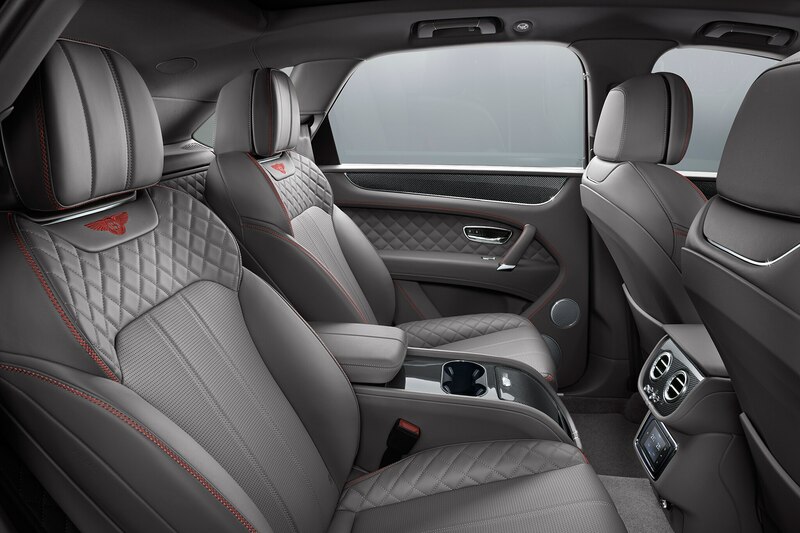 The Bentayga V8’s interior loses the W12’s standard Mulliner spec (which includes diamond quilting, drilled alloy pedals and embroidered headrests) but remains one the most impeccably finished spaces in SUV-dom, save some dashboard buttons whose plastic surfaces beg for a more special finish. A good chunk of the new model’s $67,000 price difference was achieved with the engine’s reduced mechanical complexity, but some also includes the $5,235 Bentley Dynamic Ride system, a 48-volt active system that combines adjustable damping with an electric motor that generates up to 738 lb-ft of torque, creating eerily flat handling by adjusting the anti-roll bar setting on the fly. 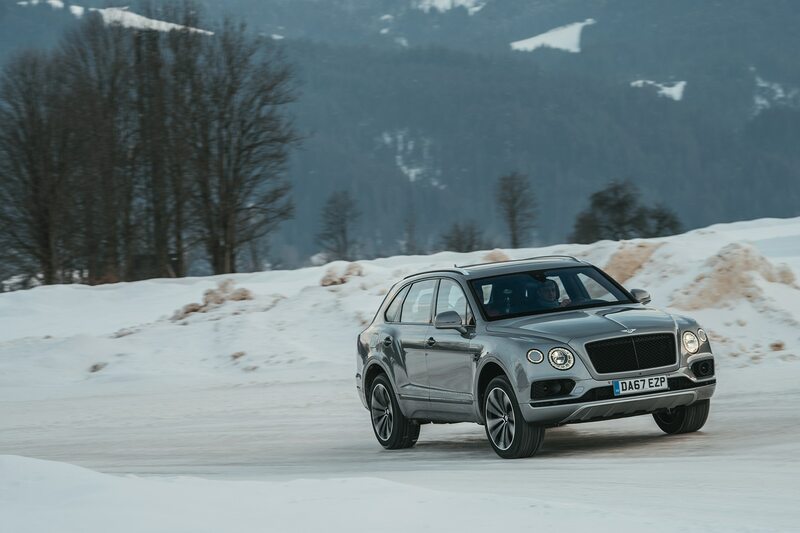 We suspected the Bentayga V8’s personality shift would echo that of the feistier, more balanced Continental GT V8, and three days of driving through Austria, Bavaria, and Switzerland effectively confirmed those suspicions. 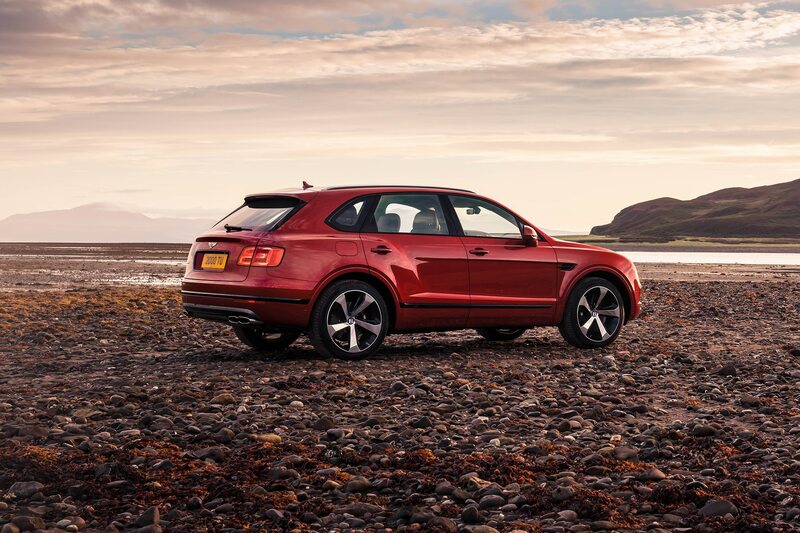 Though the V8 delivers incrementally less of the W12’s instant torque and neck-straining wallop, it still feels remarkably quick when the bulk of the power is accessed in the mid and upper rpms. With a ceiling of 7,000 rpm, the highest in the company’s low-revving history, the engine loses the 12-cylinder’s notoriously effortless low-end pull. 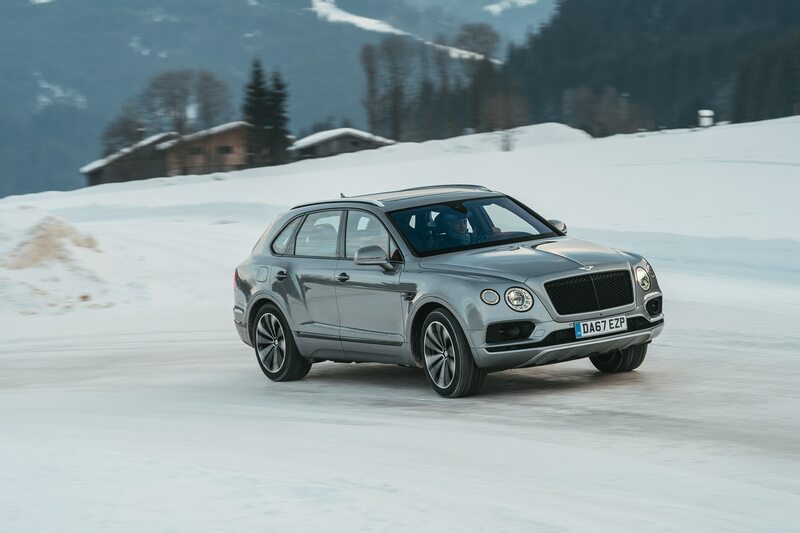 But there’s more bandwidth to play with; bury the right pedal, and the 2.5-ton Bentayga V8 crescendos ahead with enough tail-squatting drive to achieve serious velocity in startlingly little time. 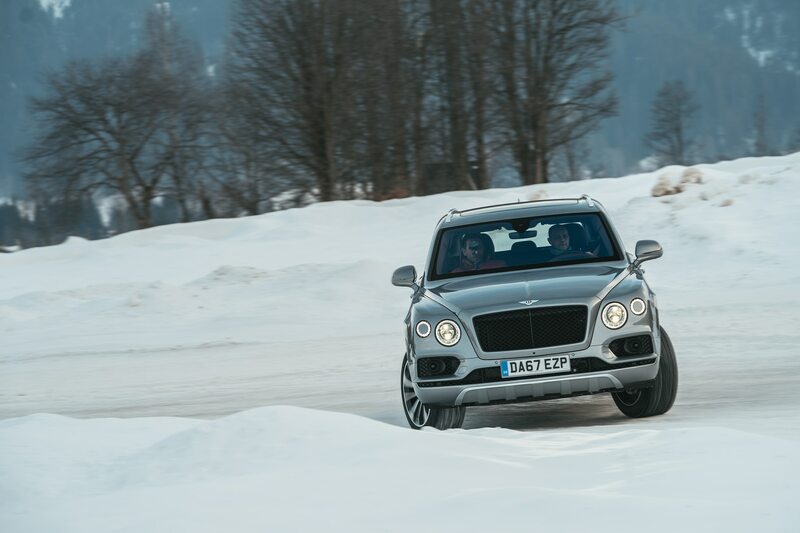 The 60/40 split all-wheel drive makes off-the-line launches a non-event, and a low-speed ice driving exercise revealed a newfound willingness to kick out the tail on demand in Sport mode without fully disabling stability control. 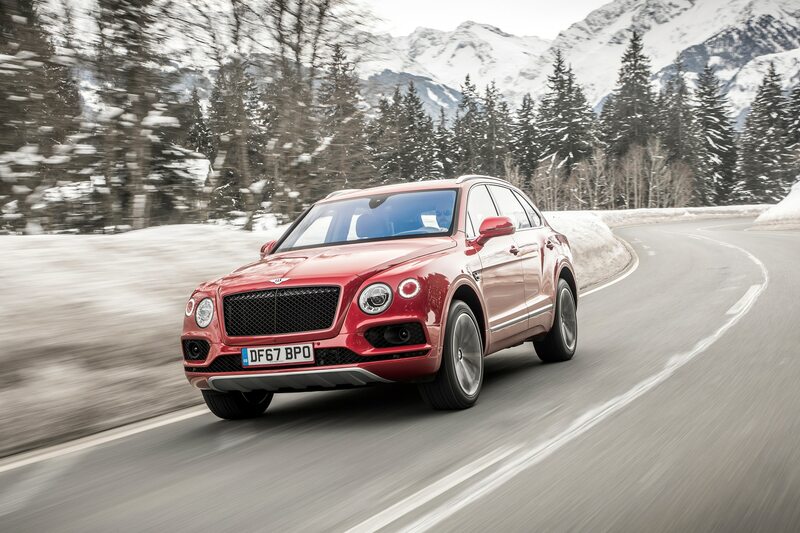 Bentley engineers refer to the increased yaw angle as ‘positive force assist,’ and the tendency signals a willingness to let some of the Bentayga W12’s stodginess go in favor of an oh-so-slighter feeling of playfulness. 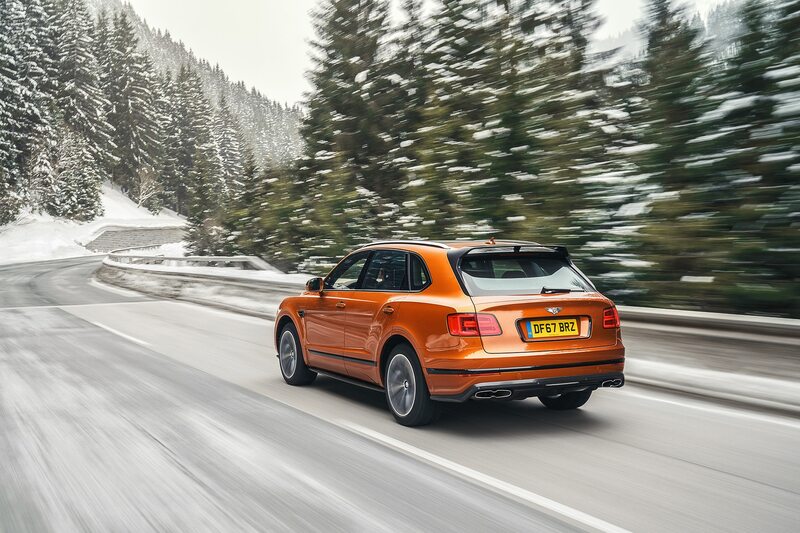 The 500-mile drive from the Austrian ski town of Kitzbühel to Geneva, Switzerland, combines sinewy mountain passes through tiny towns and lengthy expanses of highway, and is ostensibly the toughest test of this Bentayga’s mettle as a pavement-gobbling Bentley. Because the lighter engine block alleviates about 110 pounds off the front axle, the chassis feels more willing through the twisty bits. 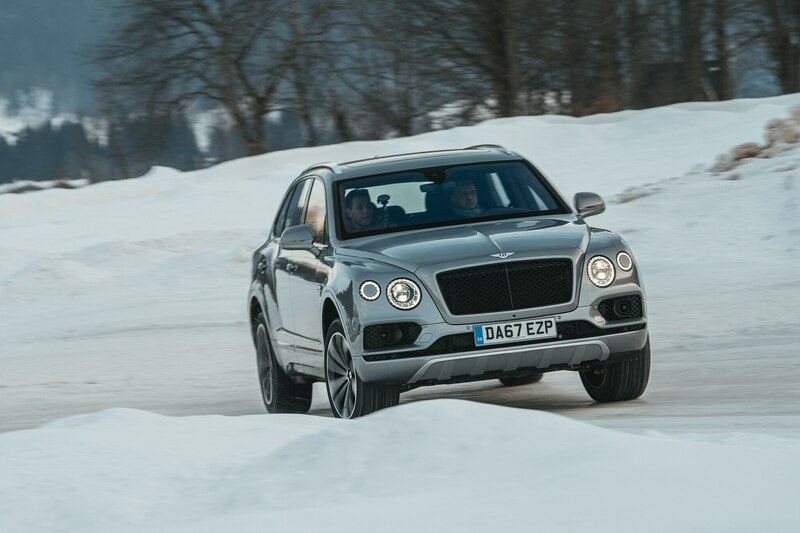 However, it should be noted that much of how the Bentayga defies its heft is through its torque vectoring system.. 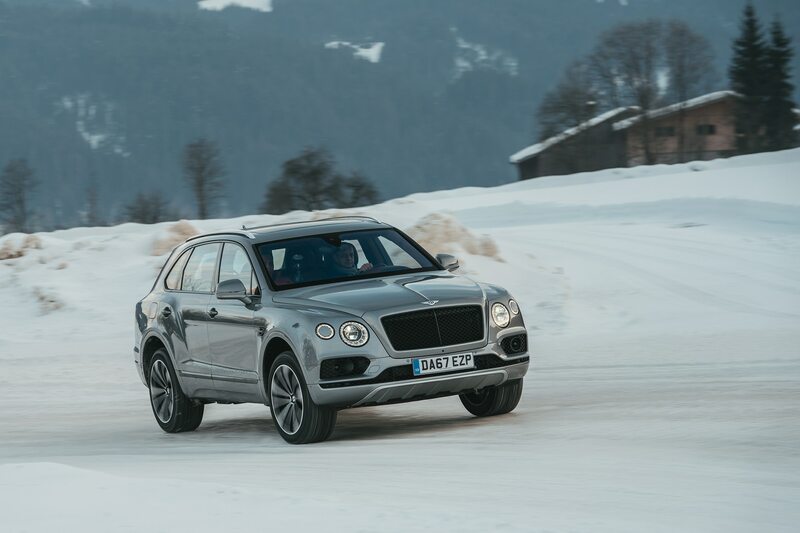 The most common denominator, however, is speed: one blast across an unrestricted stretch of autobahn in the Bentayga V8 conjured an indicated 145 mph, acquired with quick, hushed ease. 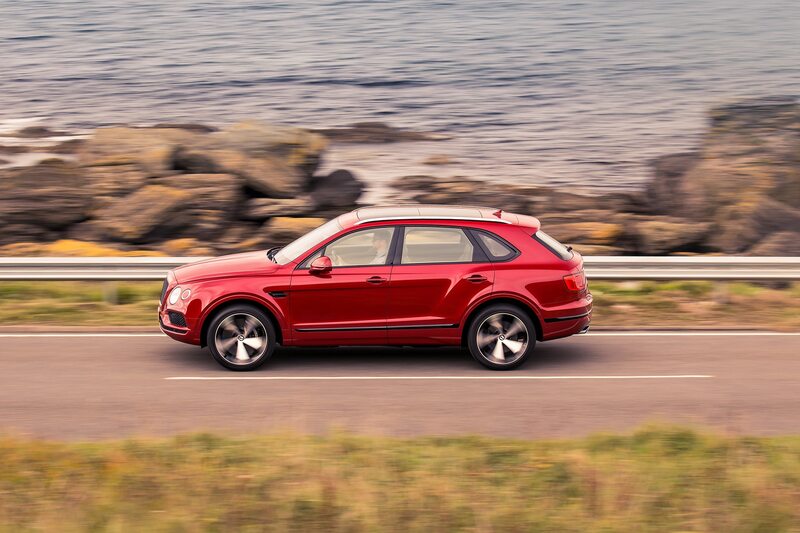 Though no V-8 can match a 12-cylinder for buttery power delivery, this hot-vee V-8 does rev rather smoothly, aided by active engine mounts and Bentley’s engine management tuning that trades some of the Porsche mill’s high-end punchiness for more mid-range torque. Deeply growly frequencies are awakened when the knurled center tunnel dial is switched from Comfort to Sport via a butterfly exhaust valve; the louder sound never drones or vexes, but it does make you more aware of the engine that, mated to the ZF 8-speed automatic, can operate with surprising innocuousness when the acoustically glazed windows are rolled up. A so-called Bentley mode splits the difference between Comfort and Sport, and cylinder deactivation and a new auto stop/start system help draw a road trip-friendly 72-mile increase in cruising range from the 22.5-gallon fuel tank. 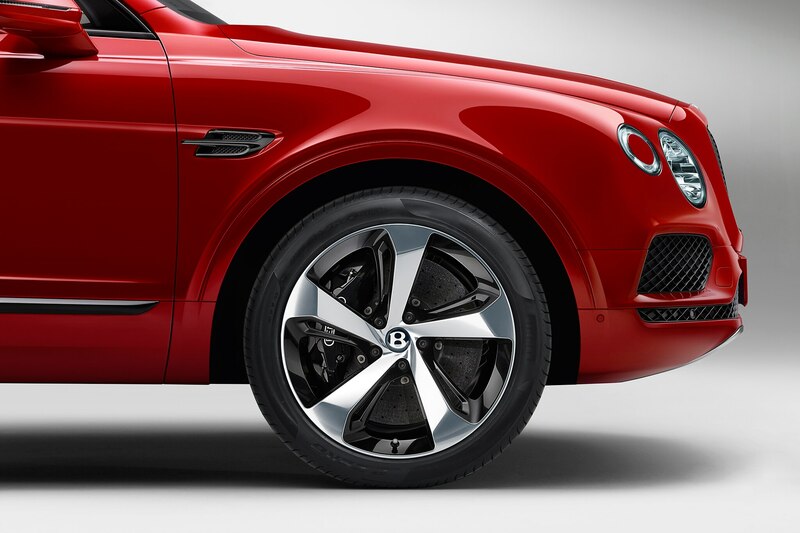 Now available on both Bentayga models are optional carbon ceramic brakes, with its massive ten-piston front calipers and 17.3-inch front rotors claimed to be the industry’s largest (rear discs measure in at 14.6-inches). Also new is a black trim specification that does a surprisingly effective job of masking much of the model’s awkward proportions; stare long enough at the blacked-out sport ‘ute, and you’ll seem an inscrutable improvement in form that makes its looks ever-so-slightly more palatable. 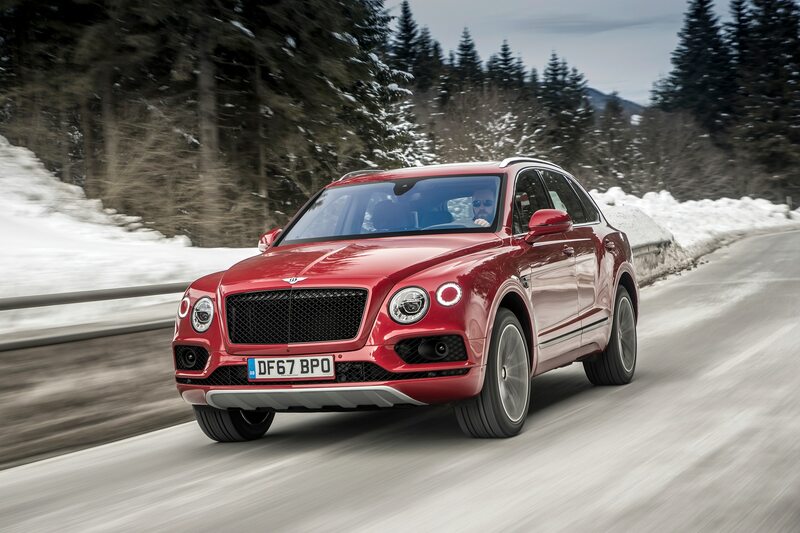 While the lopping of four cylinders hardly comes a surprise in the Bentayga’s product cycle, the just-announced gas/electric hybrid is a plot twist that just might befuddle the most old guard of luxury lovers. 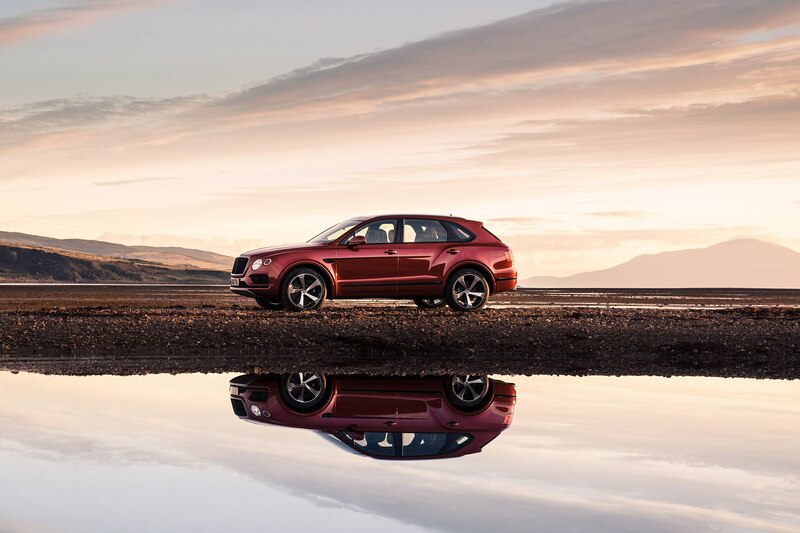 As for the Bentayga V8, one crucial differentiator will be how it rides on steel springs; every tester at the first drive event was equipped the 48-volt adaptive suspension system, which delivers an outstanding blend of compliance and control. 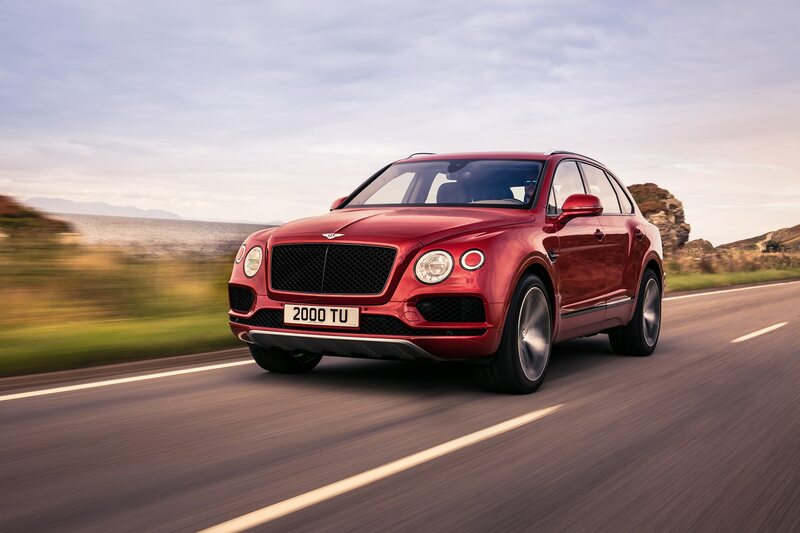 Despite the slashed price, the Bentayga V8 is still not an inexpensive offering, especially when loaded with the obligatory farkles that will likely bring it closer to the $185,000 mark. 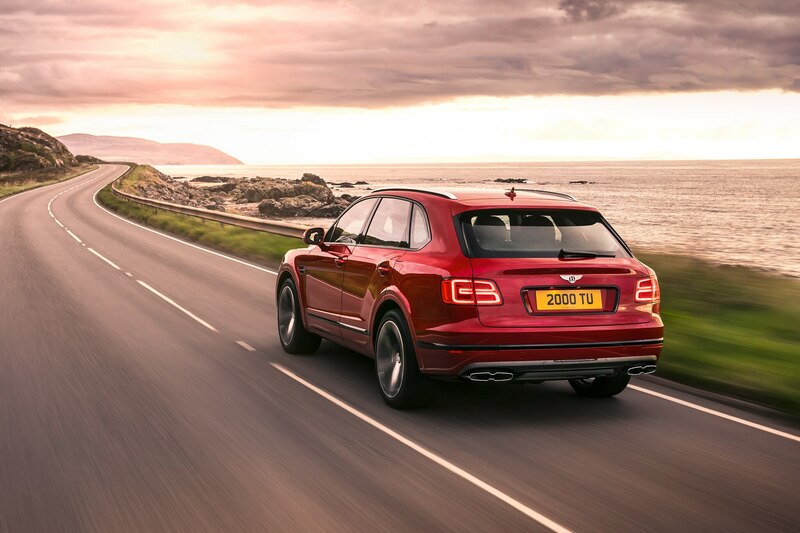 But in this new Sport Utility World Order where Lincoln Navigators are surpassing the six-figure mark, the V8 Bentayga starts making a whole lot more sense than its superpriced 12-cylinder stablemate, especially when compared to top-trim Range Rovers that encroach on the psychologically challenging $150,000 barrier. 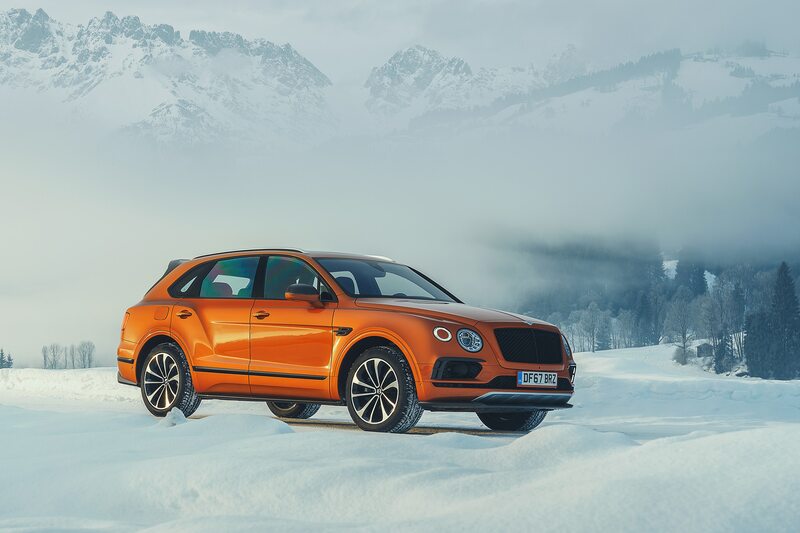 Unless you absolutely, positively have to be atop the highest mountain, the 2019 Bentley Bentayga V8 proves itself an entirely more comprehensible place to park your hard-earned assets.